We specialize in custom programs that can be tailored for your specific requirements. Using the latest technology in the industry, we can offer scaleable solutions which can help lower losses and increase productivity. This software ranges from self-contained databases residing on the scale terminal to integrating into existing software to allow better management for you and your IT staff. Hammel Scale offers custom-built remote stations that can be tailored to suit your specific needs. These remote stations include remote printing and intercom; all enclosed in high quality Hoffman™ stainless steel boxes. Combine this with the latest METTLER TOLEDO indicator and you have a great system that can increase productivity and simplify your weighing process. Each remote station is designed based on your needs with various options that you can choose. Wireless or wired connectivity, 4” or 8” printers, RFID reader, cameras, and remote scoreboards are just some of the options available. Send us a request for information about pricing and all available options! We’re not just your weighing experts, we’re your solutions experts. 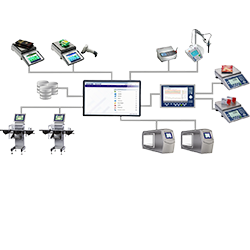 With the most advanced products on the market form METTLER TOLEDO, we can help outfit your operation with the best process controlling applications out there. Limit the amount of equipment needed to integrate into your PLC and take control of the entire batching process with the IND780batch Terminal. Additionally, most terminals have a large internal database that can be accessed and recalled immediately. 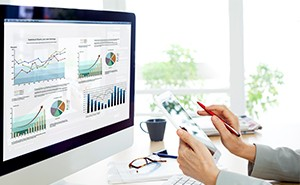 These internal databases can also be exported into .CSV files and uploaded into an onsite database or ERP system, giving you the most flexibility possible with our METTLER TOLEDO products. Some examples of previous custom applications include Product Waste Tracking and Custom Vehicle Weighing. If you combine a Custom Program with a Remote Station and ultrasonic sensors, we can even create Unattended Weighing Stations that will allow you to operate in remote areas without having a scale house or operator. If you are interested in talking to a Systems Specialist about obtaining a Custom Program, send a request today!